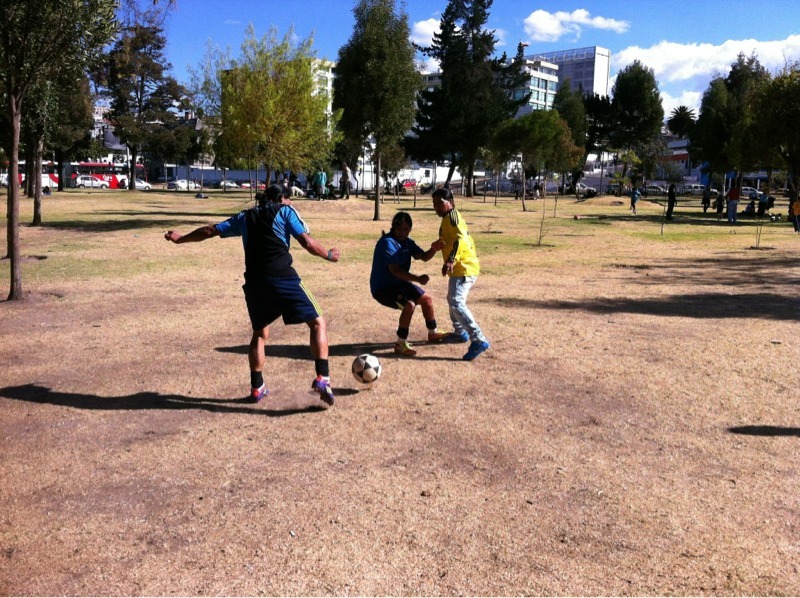 I’m not poetic enough to suggest anything profound between life and kicking a soccer ball in South America. But I would add that any day you do is a good day. Today is a good day. Travel is an adventure. Oftentimes it is frustrating. Frustrating in that modern times we have changed expectations. 50 years ago and before travel meant a lot was up to chance. And traveling to the amazon could take your life. These days we have vacations. Dedicated and limited blocks of time to relax and enjoy ourselves. We expect that when we pay for airline tickets or hotels or services that we get them in a timely manner. After all we can’t have inconvenience cutting in to that limited and structured time off. Funny thing is when I’m home or traveling in the US I have these expectations and deviations drive me bonkers. Once again I had a miserable connection through Miami. My 5 hour layover was punctuated with a terminal change and a promise of a 45 minute delay. Never a good sign. We boarded the plane in chaotic fashion a hour late. Once we were settled there was calm and quiet. I knew that meant bad news. We had no movement up front for 20 minutes before the dreaded announcement that our plane was being taken out of service. If this happens at 10:30pm in Miami you can be sure of doom. Kicked off the plane in a closed terminal with no answers allowed plenty of angry conjecture. Surprisingly there must have been some negotiation as we were told to get back on after 20 minutes. No boarding zone rules this time. A mad dash of every man, woman, and child for themselves to retake seats and more importantly the limited overhead space before finally taking off 3 hours later. 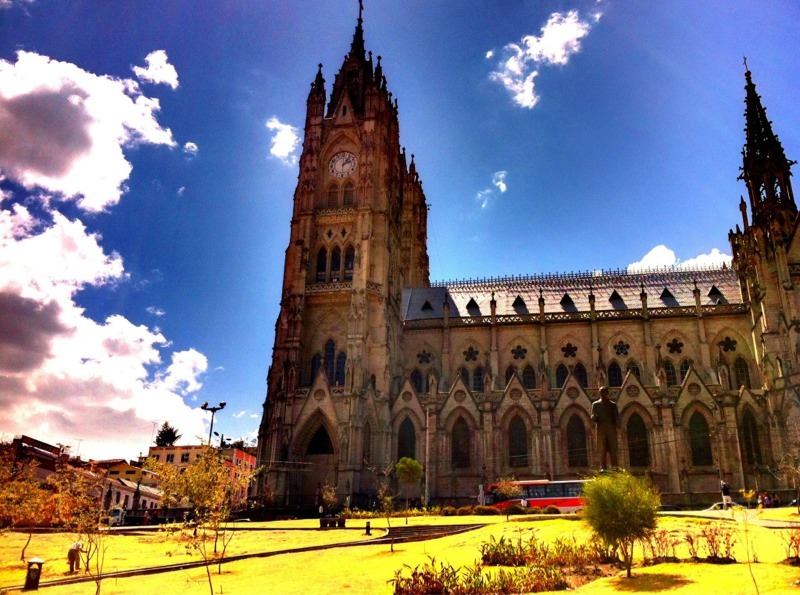 I arrived in Quito at 2am to a slow immigration line. But at least I was here. A hour later I was ringing the bell at the little hostel. The sleepy caretaker seemed surprised and told me that they were not expecting any guests tonight. I begged entry in broken Spanish to show them my reservation email. Sorry but they had no record in the books of my arrival. Luckily I showed them my confirmation and the staff members name which suggested this was not the first time this clerk did not note computer reservations in the book. Thankfully I got my room because being kicked to the crowded drunken nightclub closing streets with lots of luggage was not a way to end 24 hours on the road. I awoke late this morning and ventured out to quiet streets and closed shops. A late breakfast with excellent coffee made the world right. I tried some shopping but most of the stores were closed. So I wandered. 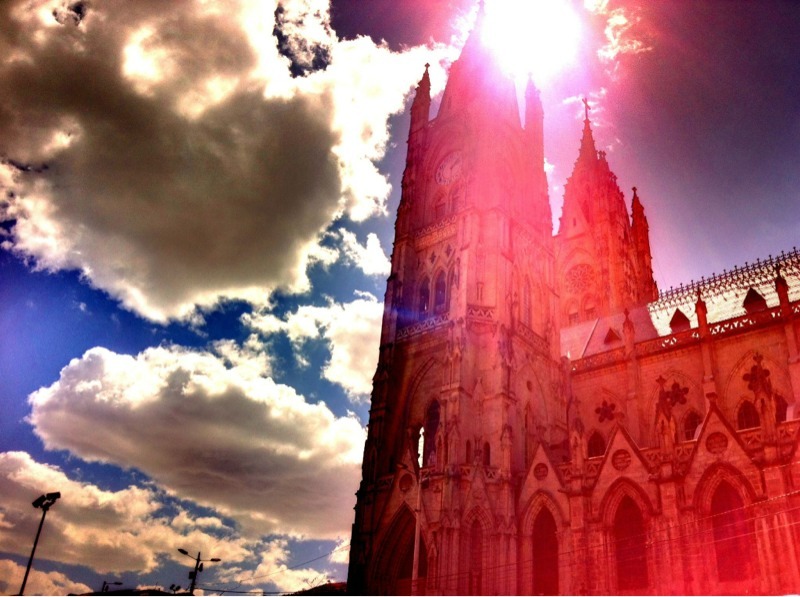 Several hours and many miles covering half of Quito. From New Town to Old Town. Passing a mix of buildings 5, 50, 200 and more years old. 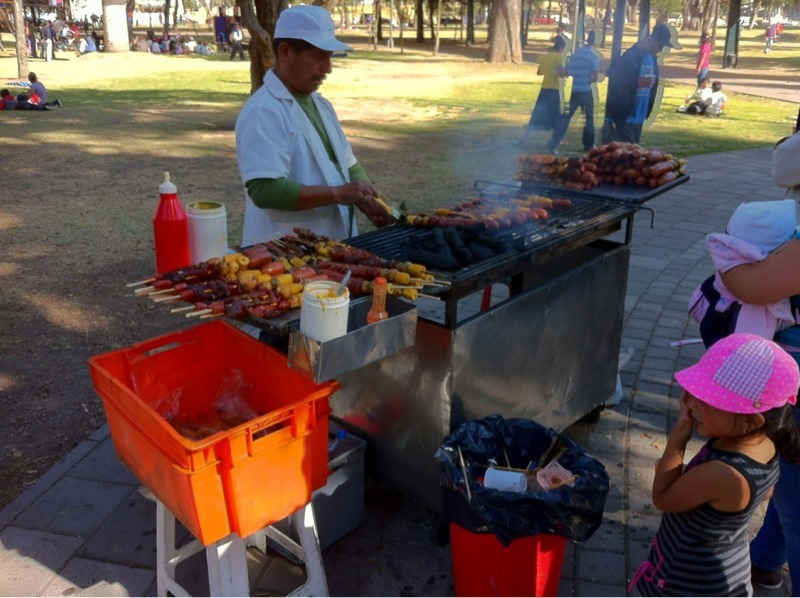 The parks and Old Town were filled with street vendors, people playing, or just walking and snacking. Latin cities all start to look the same. I enjoy them to a degree. I am familiar enough to feel comfortable but still a lost outsider to add some excitement. Wandering around camera in hand I tried to capture the scene. But frankly I am not good at shooting street scenes, people, or buildings. I just can’t make it work. It’s a skill set I lack so I grab some simple filler material and take it easy. 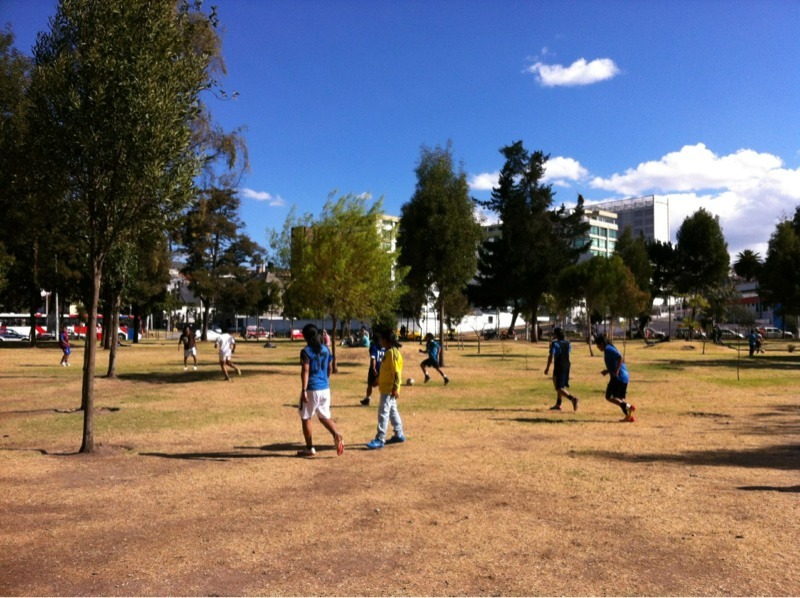 These shots are from the phone Wandering through a crowded park I kick a few stray soccer balls. I even marvel at 2 simultaneous matches that seem to not have boundaries as the games play through each other in the chaos. No play stoppage. No worries about opposing teams or matches or ball play or trees or stray kids and dogs. Fun times. Nearly back to my room tired and thirsty I pass a couple or street savvy girls, “What are you looking for? Weed? Cocaine?” I laugh out loud. Yeah city life. Tomorrow morning I am on a plane. The lowlands are calling. By later afternoon I’ll be in my forests. I’m happy you are there safely and mostly I’m happy that you are happy! Drink a beer for me when you are in the rainforest. I’ll think about you every day . . .